Explore a Mighty Manga-verse of Japanese Comics and Graphic Novels! 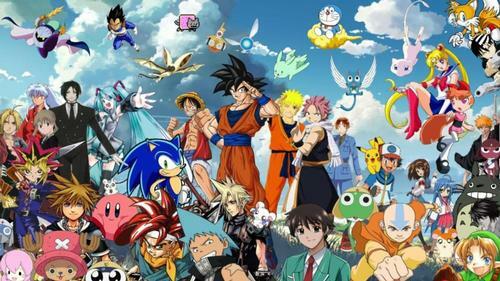 Some fans may stick to titles marketed to boys and young men, for example the My Hero Academia series and the Naruto series, while others consume collections across the supposed lines of audience and genre. “Magical girl” series like Sailor Moon have enchanted diverse readers for a generation; the gritty humans-fight-giants series Attack on Titan also boasts wide popularity. Other titles delve into topics such as gender identity like the Wandering Son series, or interactions between the deaf and hearing communities in the A Silent Voice series. 6th-grader Hikaru, in search of quick cash, unearths an ancient, stained Go board in his grandfather’s attic. In doing so, he stirs up the thousand-year-old ghost Sai, a disgraced Go player who longs to return to his beloved game. Hikaru obliges Sai by channeling his playing—and gets himself a fierce rival, Akira, who’s determined to beat this mysteriously talented newcomer. A dreamy, episodic story following a high school boy who has been ostracized for being able to see the spirits of Japanese folklore known as yokai. Natsume’s crew of supernatural companions—and the human community he comes to love—are both comic and appealing. Kyoko Mogami followed her childhood friend and sweetheart Sho to Tokyo, only to be cast aside once he became a pop star. Kyoko swears to get even by beating him in showbiz. It so happens that her twisted personality and unusual skills are just what’s needed for her to become a popular talent—if her grudge doesn’t get in the way! Sei Handa, son of a professional calligrapher and one himself, doesn’t take kindly to bad reviews—and punches a critic who pans his work as unoriginal. His father ships him off to the remote Goto Islands to engage in self-reflection. There, he encounters the completely different world of village life. With his new home invaded by lively elementary schooler Naru and a couple of middle school girls, and challenged by the simplicity of his surroundings, will Sei go off the deep end—or will he discover a form of calligraphy uniquely his own? And once you've read (from top to bottom and then right to left, natch!) these titles, head over to our Anime and Manga Explore Topic to take a deeper dive into the mighty Manga-verse! Can't get enough of comics and graphic novels? Save the date for the next Free Library Comic Con coming up on Saturday, May 12, 2018! Get your free tickets now! Add a Comment to Explore a Mighty Manga-verse of Japanese Comics and Graphic Novels!